Large 1.6-gallon (6.0-liter) fuel tank provies long riding time. A vacuum-operated fuel petcock automatically stops fuel flow when the engine’s not running. One-piece, eight-inch wheels with tubeless tires provide a smooth comfortable ride. 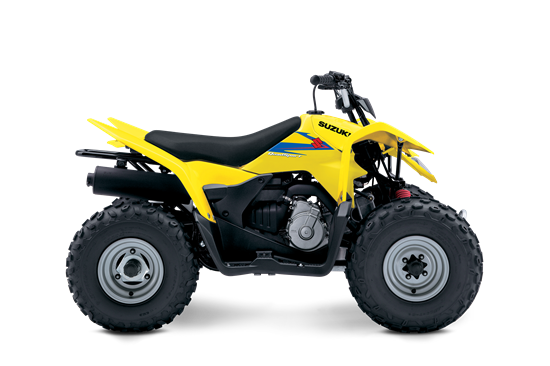 The low seat height of just 25.6 inches makes it easy for the rider to get on and operate the ATV.